This is a very small bug so I don't know if it's worth mentioning. 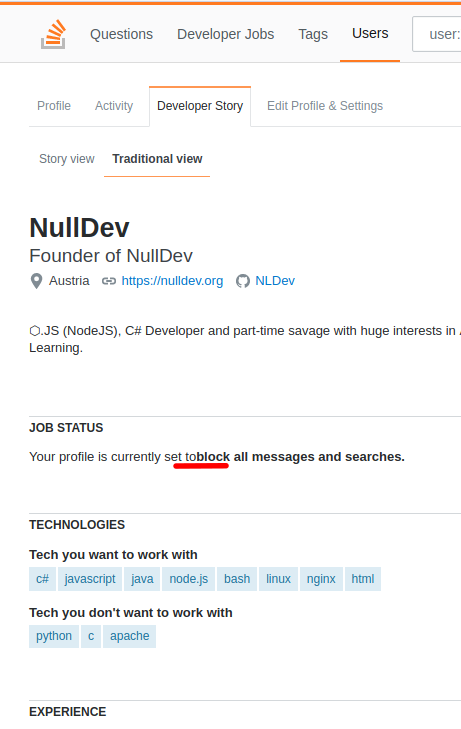 On the "Traditional view" of Stack Overflow's Developer Story at the Job Status section, there is a missing space. To recreate you need to be logged in, on your own Developer Story in the 'Traditional View'-tab with 'Job Preferences' set to "Not interested in jobs". Browse other questions tagged bug status-completed developer-story traditional-view .